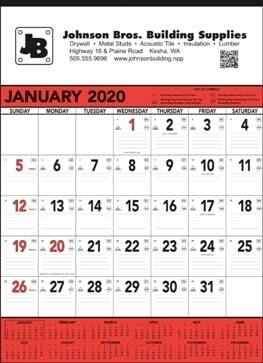 Choose a wall calendar color to match your company color for business calendars. 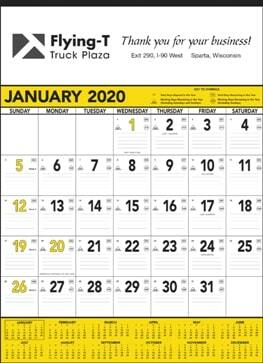 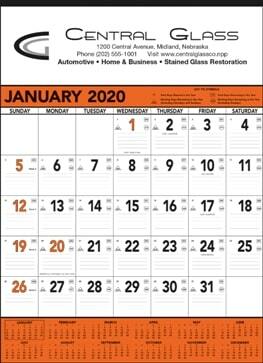 This promotional wall calendar is suited for small business or as a corporate calendar. 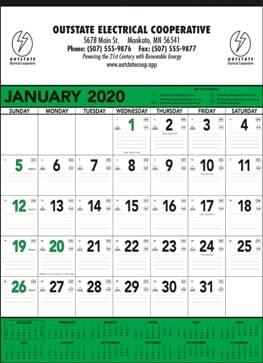 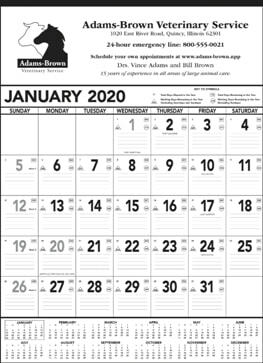 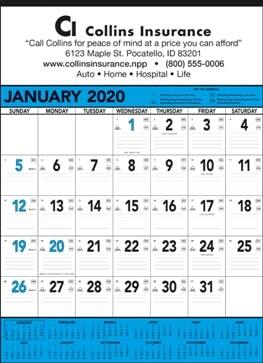 13 Sheet Classic custom printed wall calendars provide up to a full 13 months of promotion.